Neuro Linguistic Programming (NLP) is sometimes described as the methodology of how we create behaviour. I had a highly successful sales career for over 25 year working internationally with Xerox Emirates, Sensormatic and Yellow Pages. With each company I attended a four-week residential sales training before I was allowed to approached my first potential customer. These were all very intensive sales training courses that required successful completion before my jobs were confirmed. Today many companies do not have the resources to offer this level of training to their sales staff. So let me share with you a short introduction of one of the models that all three of these companies use. This is a sales model called SPIN. Neil Rackham developed the SPIN Model, and the first students trained in SPIN showed and average of 17% improvement in sales. The power of the SPIN Model is that the salesperson is asking specific questions that encourage the buyer to do most of the talking. In NLP, the powerful linguistic tool we teach for asking such questions is the NLP Meta Model. These are specific questions that encourage someone to really think about what you have asked them before they can give you back an answer. Before you can begin to ask SPIN questions it is vital that you spend time building rapport with the buyer. SPIN questions encourage the buyer to think about their situation, what their problems are and how you can solve them. When meeting a buyer for the first time you also have to clarify who you are, why you are there – (remember in sales it’s not about you, its about helping the buyer solve a problem) and gain the permission from the buyer to ask questions to find out more information about their business, what problems they may be facing and for you to use this information to propose the right solution to their problems. An NLP trained salesperson is taught to stay focused and neutral, and encourages their buyers to go through a process. The successful outcome of this process is, the buyer realising that the salesperson has the solution to the buyers’ problem. Situation Questions – These deal with the facts about the buyers’ present situation. The NLP technique Perceptual Perceptions teaches you to look at something from the point of view of someone else. All successful sales people understand their clients’ point of view and do their homework and research their clients company, the market situation and what a buyer may need from them. This statement implies that you already know all about their industry although you have not mentioned any specifics and are asking for the buyers’ point of view. Most sales people get stuck in asking situational questions, and the more senior the buyer the less they want to be asked questions that the sales person should have researched before they attended meeting. Highly successful sales people do not spend long on situation questions, because they arrived at meetings already prepared with an understanding of the buyers’ company and situation, but they still want to encourage the buyer to talk to them about this situation in their own words. Problem Questions – These encourage the buyer to think about specific problems they have, and more importantly start talking about them. NLP Meta Model questions such as “What specifically?” “According to Whom?” “Compared to what?” ”How will you to do this?” will provide highly detailed and specific answers. The more you get your buyer to talk about their problems, the easier it becomes to build a clear picture of the buyers’ problems and how this could impact on their business. NLP trained salespeople observe their buyers’ voice tone and non-verbal signals, because they know their buyer is creating a visual representation of these problems. This observation becomes very useful when closing the deal, because you don’t want to be presenting your solutions in the space you client sees their problems! Implication Questions – Once the buyer is talking about their problems, you can ask Meta Model questions to help the buyer build a vivid picture and start to feel how about these problems will impact their business. When someone is able to see clearly how a problem is impacting their business, and become aware of the consequences, if it is uncomfortable enough, then usually this builds the motivation for the buyer to solve that problem. 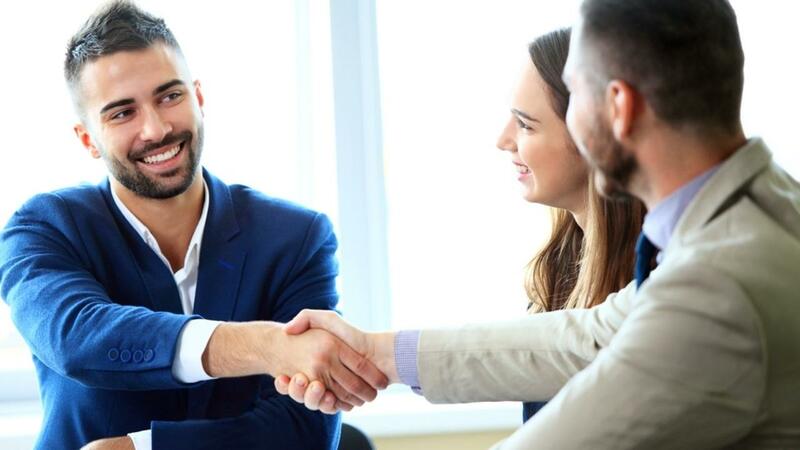 Need- Payoff Questions – It is only at this stage that you start asking the buyer to clarify their specific needs, rather than you telling them what you can do for them. As well as taking about their needs, ask your buyer to explain how their company will benefit when this need is met. You do this because when someone says something to another person they have validated that they believe this to be a fact. An NLP trained sales person would start creating a purposeful ‘state change’ at this point by changing their voice and body posture from a ‘neutral state’ to one of ‘energy and action’ to create a unconscious sense of moving things forward. It is only at this stage that you are ready to present your specific products and services that will resolve your clients problems. This is the exact opposite of what many sale people do. They rush in talking about their products without finding out whether the buyer needs them or not! The process of going through the SPIN Model does not always end in a sale. Successful sales people move things step-by-step and build lasting relationships with their clients. Each outcome of a meeting requires a valid next step. If you are asked to submit a proposal then the buyer must agree to take action with that proposal, if it another meeting is arranged, then the purpose of that meeting needs to be agreed in advance. The information you gather during the SPIN process is what you use and clarify in all future meetings as you move towards closing the sale. Using the SPIN process alone can never guarantee a sale, because selling to people is a complex process. This is only a small part of the process of doing business with others. NLP trained salespeople learn skills for building rapport, asking the right questions, matching and mirroring body posture, using voice tone purposefully and effectively and most importantly putting their clients first and building solid business relationships. Successful sales people always put their clients needs at the heart of everything they do, rather than chasing the sale to reach their own targets.